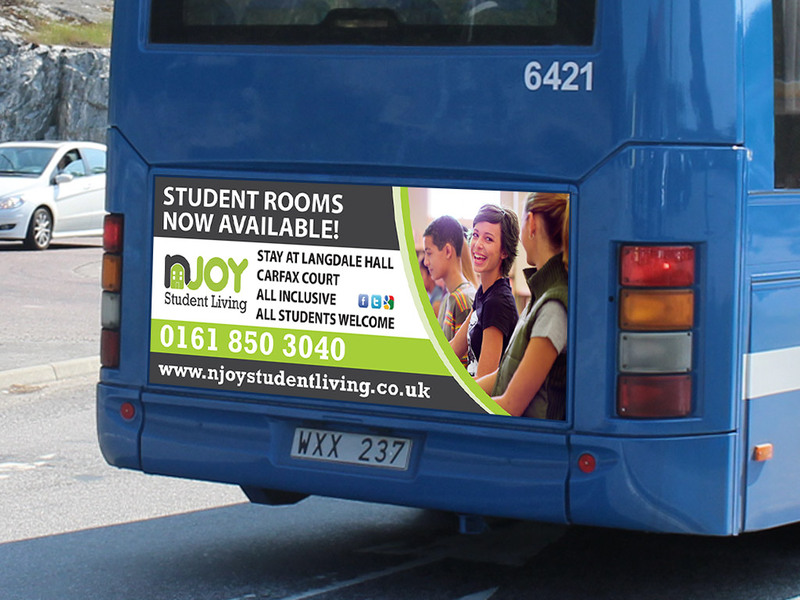 Njoy Student Living specialise in providing comfortable, stylish and affordable student accommodation, all within easy reach of Manchester’s universities. 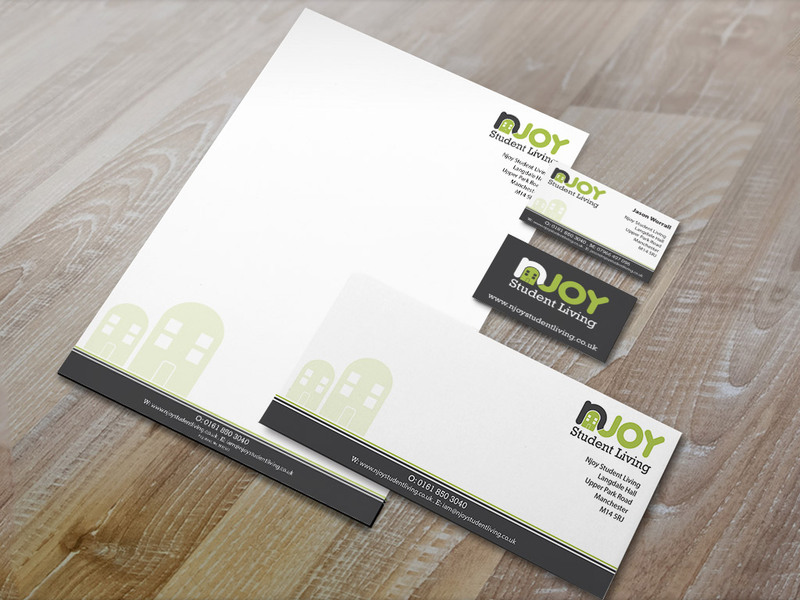 Njoy required a brand to help give the company a presence amongst students (their target market). 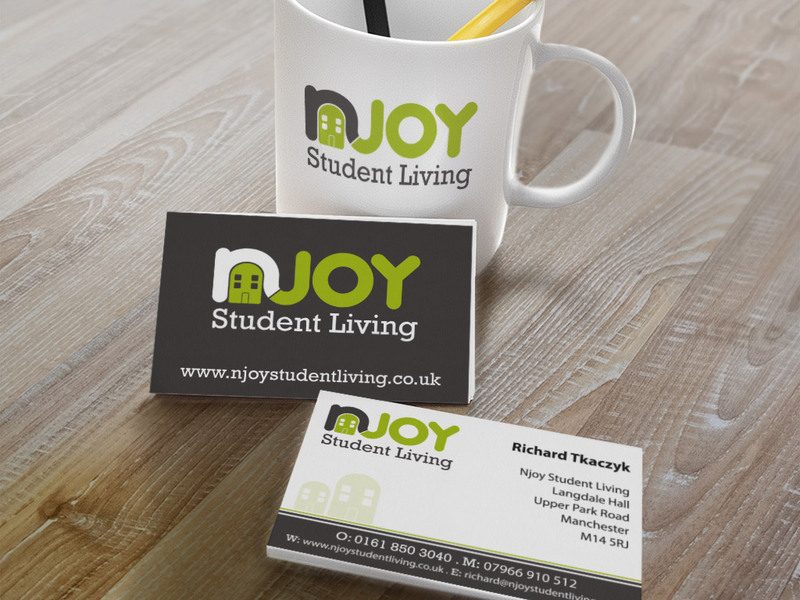 A careful selected colour scheme of lime green, grey and white was chosen to differentiate Njoy from competitors and build brand recognition within the local student community. The logo had to be playful yet convey what the company offered. 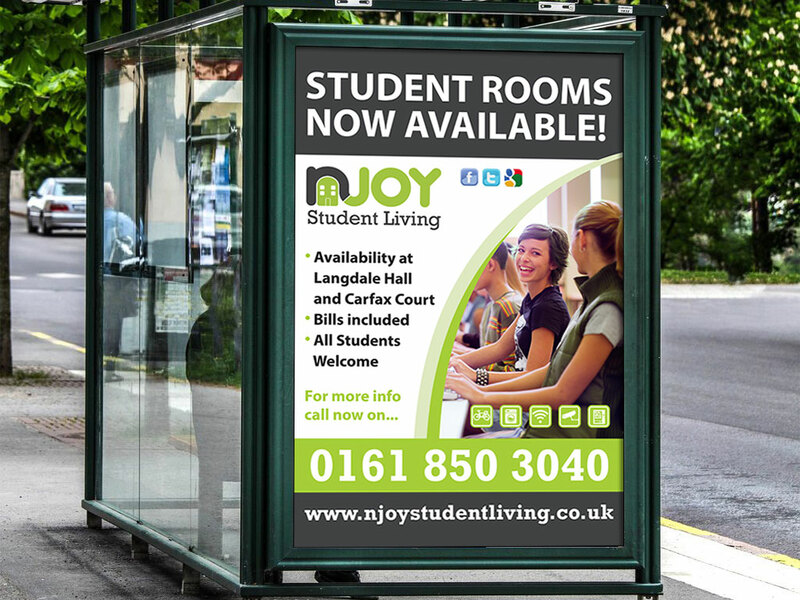 Increased brand awareness along with a targeted marketing campaign led to a large increase in student enquiries and uptake of student accommodation.